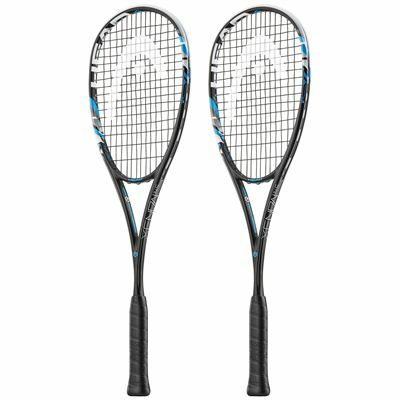 Featuring two phenomenal rackets allowing for smooth mobility all over the court, the Head Graphene XT Xenon 145 squash racket double pack is an excellent deal providing massive power potential mixed with lighter weight at 145g (5.1oz) and head light balance to ensure maximized control and swiftness on every stroke. 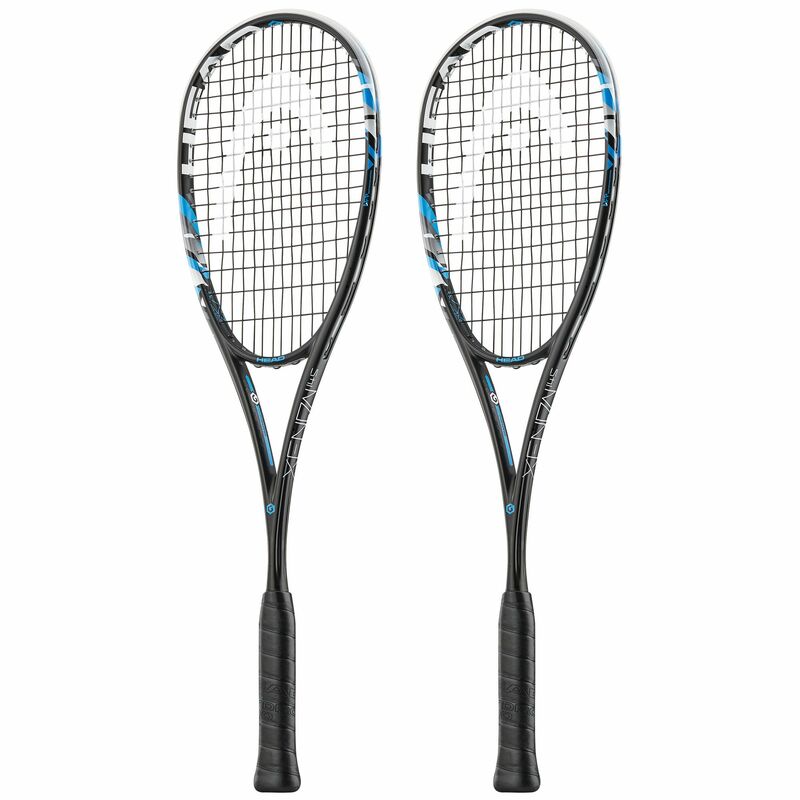 With a head size of 71.3in2 (460cm2) offering better sweet-spot for more reliable off-centre swings, the racket boasts better weight redistribution with GrapheneXT frame structure allowing for quicker reactions, faster moves to force your opponents to play more defensively, thus giving you more advantage and space on the court. The racket features also CT2 corrugated technology to deliver even more powerful blows, whilst the Adaptive Fan Patten provides the option of stringing in two patterns, the classic 14 x 16 and fan-shaped 20 x 16 for more precision and playability, plus the pack arrives with two full-length covers. for submitting product review about Head Graphene XT Xenon 145 Squash Racket Double Pack.